The Passionate Foodie: NECAT's 2018 Accomplishments: Donate Now! NECAT (New England Center for Arts & Technology) is one of my favorite causes. In short, NECAT provides culinary training to students who have had troubles or disadvantages in their past, such as drug addiction or incarceration. 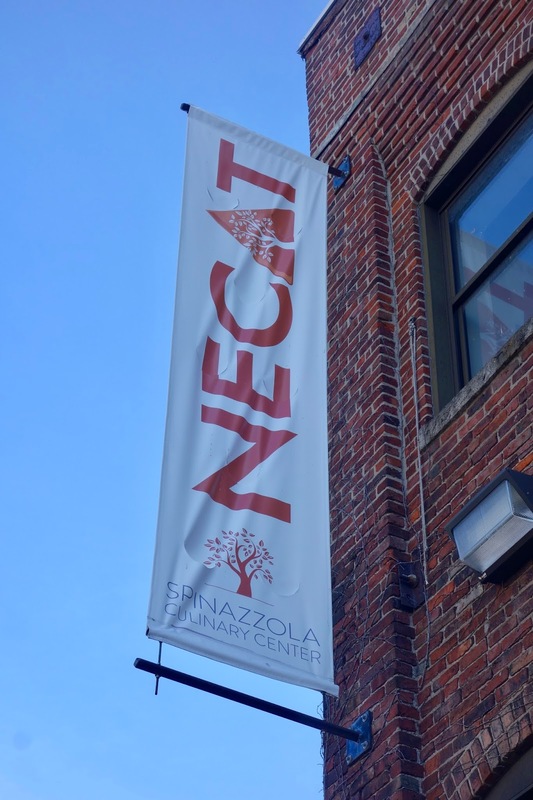 You can check out my previous article, Support NECAT & Transform Lives, for more background information on NECAT and their mission. As I wrote before, "NECAT is helping to show their students that they don't need to be defined by their past, that they can move forward despite what they might have once done. They are helped to believe in themselves so that they can change their lives for the better. They might have challenged backgrounds but that isn't sufficient to hold them back, if they are willing to work toward a better future. These are such worthy goals, creating a better community for all of us." Now that 2018 is over, NECAT has written about their accomplishment during this past year, noting, "What a year for NECAT! We grew our team, launched a new culinary job training program, developed strong partnerships and continued to provide life-changing services to those who need them most." NECAT opened a second culinary training program in Everett, allowing them to train even more people. In 2018, they were able to educate 164 students, and the Everett program had an impressive completion rate of 86% Overall, graduates of NECAT had a 3-month job retention rate of 76%, indicating they are serious about their new careers, and they also have an average starting wage of $14.52. Lives are being transformed, helping these individuals, their families, and the community. Importantly, revenues for NECAT increased by 33% over 2017, indicative of the strong support they are receiving from the government and community. Unfortunately, government monies are always tentative as cuts are always possible. They need more private donations, enabling them to expand and teach even more students. If you can, please donate to NECAT and right now is a great time as all donations received in the first quarter of 2019, up to $50,000, will be matched by Robert K. Kraft, owner of the Super Bowl champions New England Patriots. Currently, about $21,515 has been raised so there is more room for growth. Please, donate now! I'd also recommend you keep your calendar open for a NECAT fundraiser on May 16, with special guest Chef Andy Husbands of The Smoke Shop BBQ. These fundraisers events are a great way to learn more about NECAT, enjoy delicious food prepared by the students, and donate to a great cause.